The Fios Quantum Gateway opens a world of internet capabilities. Call 1-866-805-2631 to learn more about the Fios Quantum Gateway. This Wi-Fi router gets straight to business. It’s the age of faster, stronger, and better, and technology is not immune to the evolutionary uptick—particularly high-speed internet. With increasing broadband speeds comes the demand for equipment that can keep things running as fast as possible. The Fios Quantum Gateway router connects fixed lines and streamlines your Wi-Fi connection, designed with the ability to deliver data to your wireless devices at lightning fast speeds. This dual-band router supports multiple bandwidth-dense activities and has the ability to process your connection and separate it out so that less demanding tasks are transferred to a network that can handle more traffic. This takes the strain off your internet and prevents it from becoming overloaded, bogging down the speed. The Quantum Gateway router is compatible with Z-wave smart products such as lighting, locks, heating and A/C controls as well as other “smart” items you might use in your business. This Z-wave protocol can be controlled from your smartphone or other electronic devices. You can also install employer controls, similar to parental controls, on employee devices to better avoid the challenges of potentially harmful or sensitive material circulating through the Web. The Quantum Gateway covers bases you didn’t even know could be covered. The Fios Quantum Gateway has a thin profile and modern lines. The Fios Quantum Gateway router is equipped with a dual-core processor, allowing for faster wired and wireless performance. WAN and LAN ethernet cables support speeds up to 1000 Mbps. This router features AC1750 Wi-Fi - Next-generation gigabit Wi-Fi; up to 3x faster than conventional wireless-N.
A stronger connection is a stronger business plan. Connect a coaxial cable using the industry standard multimedia over coax alliance (MOCA) bridge, which supports speeds up to 700 Mbps. You’d be surprised at how your business can thrive off of an uninterrupted, reliable connection. Whether it’s wired or wireless, it’s worth putting serious thought into when considering if the Gateway router is for you. 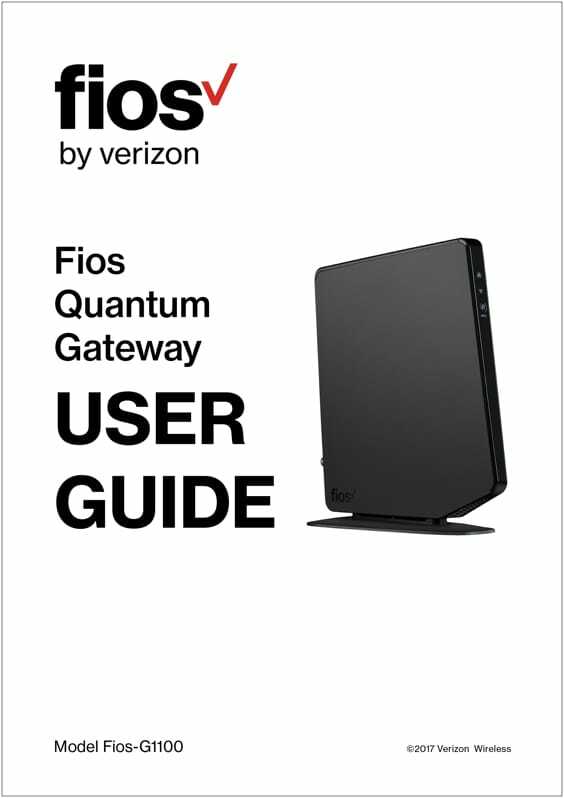 Explore basic information found in the Fios Quantum Gateway manual. If you’re looking to spread the reach of your Wi-Fi coverage to the barren outskirts of your office, a Fios Wi-Fi Network Extender might be in order. This device receives the Wi-Fi signal coming in and amplifies it, in most cases nearly doubling your Wi-Fi range. 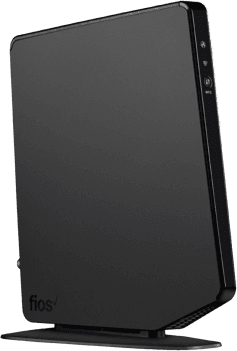 The extender immediately boosts your network’s signal strength and directs it to patchy areas and dead zones, reaching remote office corners and even providing internet access between different floors of your building. Your Wi-Fi extender can even deliver connectivity outside of the building. Fios internet is fast, but its speed means nothing if it can’t even reach your devices. The Optical Network Terminal (ONT) acts as a conduit between your Fios internet services. It consists of a box installed either on the outside or inside of your home and communicates directly with your network, converting the optical signal transmitting through your fiber connection into separate channels for your Fios TV, internet, and phone services. The ONT translates the pulses of light coming through the fiber cables into electric signals that your phone, TV, and computer can all understand and operate on. Those signals in turn are converted back into light pulses when sent back through your fiber-optic connection. Setting up your Fios Quantum Gateway router is simple. Plug your ethernet cable into an available high-speed internet outlet (the lights will turn white). Connect your device to the Gateway using the provided ethernet cable and select the proper wireless network. Configure your Gateway on myfiosgateway.com with the provided password. Why Fios business internet is the key to your success. The business world doesn’t slow down, and you can’t afford to either if you want to keep an edge on the competition. Verizon Fios business internet matches whatever pace you require and guarantees upload speeds just as fast as download speeds through its pure fiber-optic connection. You can watch a high-definition video conference with no lag time or download a webinar in seconds. You can connect all of your employee tech when you choose from varying degrees of Fios internet bandwidth. All of this is amplified with a Fios Quantum Gateway router. Designed to be compatible with remarkably fast Fios internet speeds, your customers will receive the best service possible. With the capacity to connect multiple devices, you can give your customers guest Wi-Fi access to ultimately improve their experience at your business, or make your waiting rooms more entertaining with Fios TV, all of which is effortlessly sustained through your Gateway. Isn’t it about time you made the most out of your workday? Discover what true speed and efficiency are. The Dual Band 2.4 & 5 GHz gives you double the bandwidth for maximum wireless throughput. What kind of workload can 150 Mbps handle? Your business moves fast — Verizon makes it move faster. Get Fios triple play action when you bundle. Juggling multiple bills is more than a hassle—it’s a waste of time. Upgrade your operations and save money when you bundle your Fios business services. The Fios Gateway stays ahead of the curve. Your Fios Gateway is a straight shot to the most powerful internet capabilities available. It’s not just a router—it’s your business’s pathway to success. Opt for the best network in the business. The bar has been raised, and Verizon has met the standard for 11 consecutive years. Find out firsthand why our network is second to none. Advance with the front lines of tech innovation. As the saying goes: nothing ventured, nothing gained. Explore the opportunities that Verizon presents and discover a faster way for you to do business.